Groups are formed according to the level of English and football skills, so everyone can join, as people from all over the world attend this program – show off your skills and learn from others during the course. The Life Changing Learning aspect means that the teaching doesn’t take place in one location; it takes place in classrooms, on the pitch, in the media center… the list goes on. The students learn by being shown and experiencing themselves what a successful player’s career development consists of. 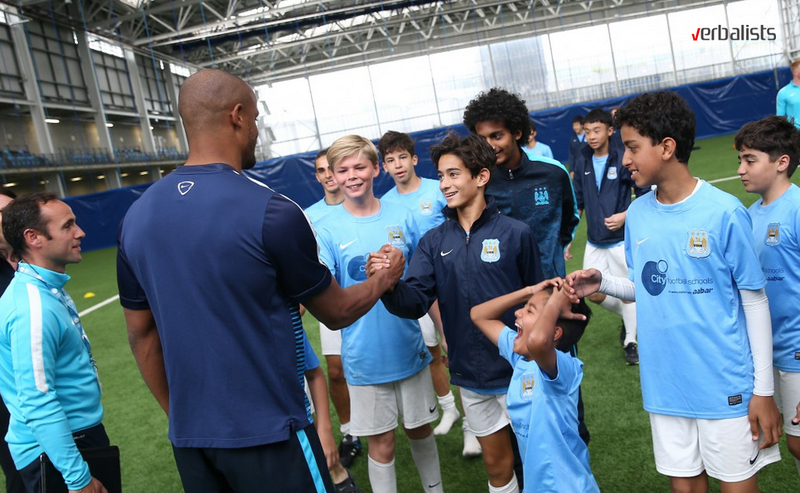 During the course there are various extracurricular activities, such as excursions, visits to the National Museum of Football and of course, a guided tour of the Etihad stadium! Upon finishing the course, the young player will receive a certificate acknowledging his or her hard work and achievements on and off-pitch. The program is accredited by British Council as well as EAQUALS. The EAQUALS inspectors identified points of excellence in the following categories: teaching & learning, course design and supporting systems, academic resources, and client services. EAQUALS is an industry-trusted organization whose aim is to promote and guarantee high quality in language teaching and learning worldwide. The Verbalists Language Network is accredited by the two world’s leading, independent accreditation bodies in language teaching and learning – British English UK and German ICEF. 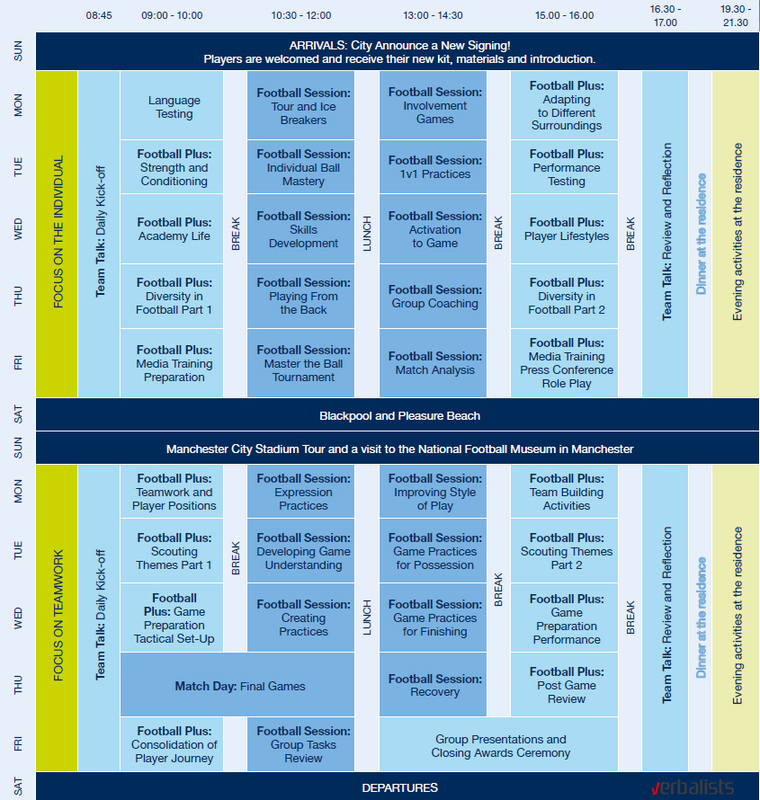 You can expect 15 hours of football training per week, in the mornings. 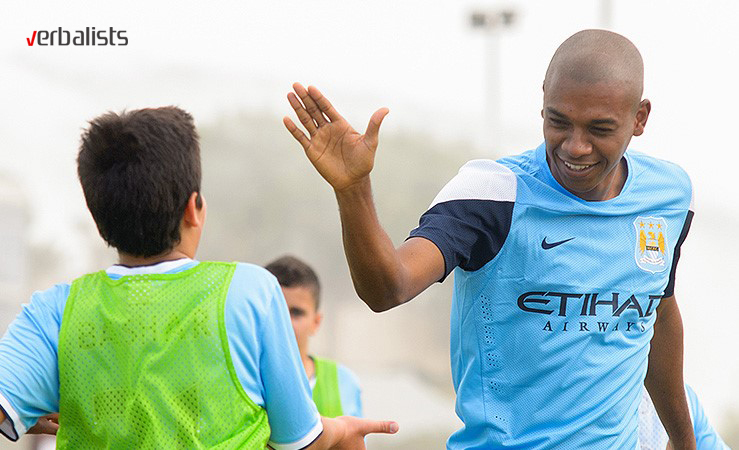 The sessions cover individual skills development, as well as team play. You will go through performance tests, strength conditioning exercises, learning new tactics and much more. To be able to play as a great team, communication is all, which is why the program also covers 15 hours of English language teaching per week. The topics covered are football related – exactly like those taught to the most successful football players in the world. You will have match analysis workshops, nutrition and healthy eating sessions as well as press conference situations and role play, teaching you how to use language in the most effective way when under the spotlight – yes, these are all aspects of day to day lives of famous sportsmen. All course material is included in the price and provided for on the first day of the program. Every player needs to rest, and so the evenings are dedicated to developing new friendships, playing games and various other activities, organized by the school. There is no space for boredom, as activities are held every evening, and excursions every week-end. Some of the exciting things you will have the chance to participate in are film and quiz nights, barbecues, talent shows and many more. 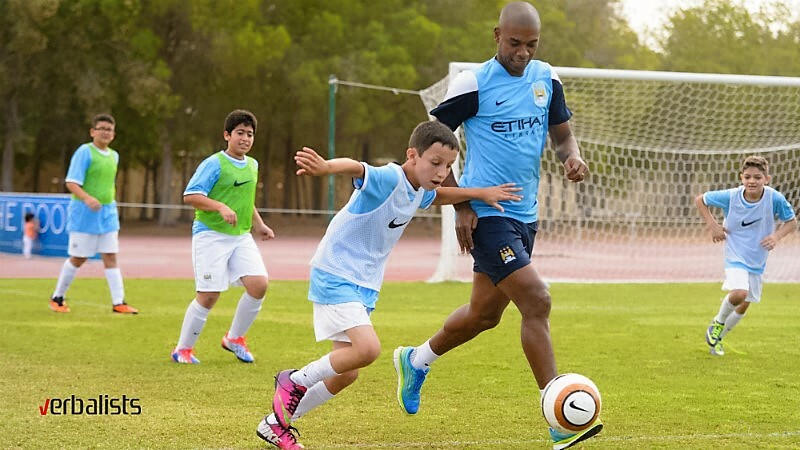 If that is not enough, there are excursions to some of the most popular tourist attractions – especially for football fans, as it includes a guided tour of the place where all the greats such as Aguero, Kompany or Kolarov meet – the Etihad stadium. There is also a visit to the National Museum of Football in Manchester, to the mysterious York Dungeons in York, or even a day at the beach in Blackpool, the preferred holiday destinations of the Brits! During the two weeks (14 days, 13 nights), you will be staying in a modern student hall residence, Sheavyn House, part of the Manchester University campus. The single en-suite rooms are comfortable and in a safe environment. There are three hot meals a day (full-board), with the breakfast and dinner served in the student accommodation, and lunch served in the training facility. 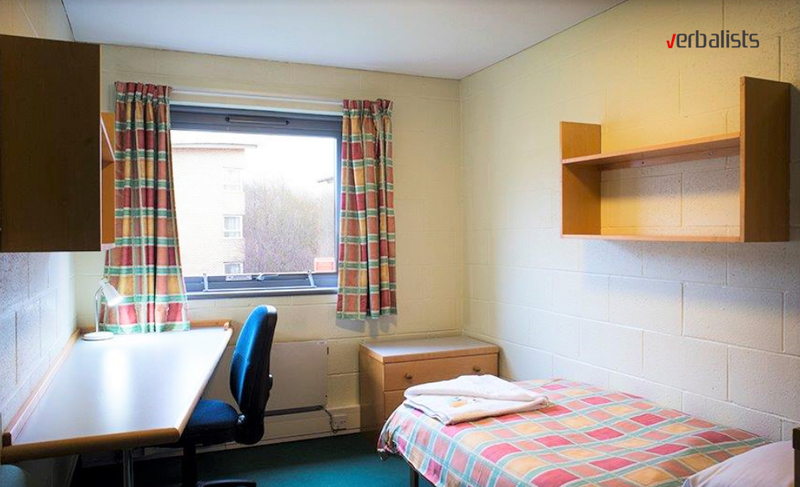 Students have access to Wi-Fi, laundry facilities (staff can help with the use of washers/dryers, approximately £2 per machine), common room for games and hanging out, a 24/7 reception desk, and study desk in the room. Sheavyn House residence is a 20 minute private coach ride from the training facilities. Transport is organized by the Academy every morning and afternoon, as well as for the week-end excursions. Each working day begins and ends with Daily Team Talks at Connell college. Connell college is a modern facility where all the classes, language and media sessions are held. It is where the students have their lunch together. 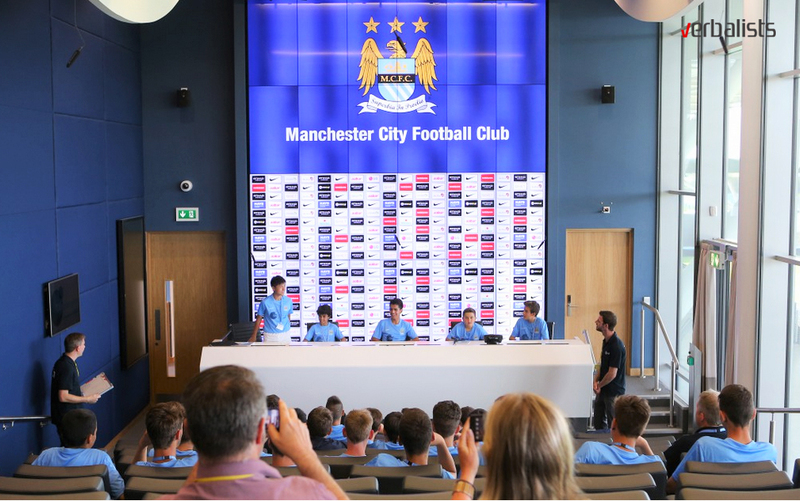 The College’s changing rooms conveniently lead directly onto the pitch – one of the main reasons why Man City’s youth players use them frequently during the whole year. The students have exclusive access to these changing rooms during the program. Arrival on Sundays and departure days are Saturdays. 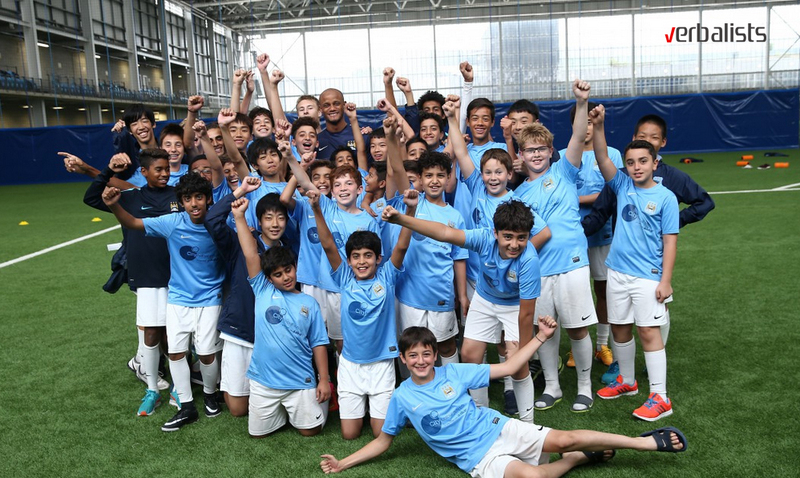 Each player is given two football training kits at the beginning of the program, one from the Man City Football Language school, and the other a Nike training kit. Both are for you to keep. The course fee covers the following costs: the language and football classes and sessions, course material, certificates at the end of the course, full-board accommodation (13 nights), travel between the accommodation and training facilities, 24 hour pastoral care, excursions and after school activities. Not included in the price: Air fare and airport transfers (transfers between Manchester Airport and the accommodation can be organized through the Verbalists Language Network or school at an additional cost of £95), travel insurance, and pocket money. The Verbalists Language Network offers an Unaccompanied Minor service for children under the age of 18, where a member of Experience English/Man City staff will meet your child at the airport on arrival and wait at the airport until your child’s departing flight leaves the ground. If you would like us to provide this service for your child, please notify us. If your child is under the age of 15, it may be a mandatory requirement for you to register your child as an Unaccompanied Minor. It is your responsibility to check this with the airline and pay any relevant costs to the airline as well as the £60 Unaccompanied Minor fee to Man City/Experience English. This course is based on individual departures and does not include a group leader of the Verbalists Language Network, however the City Football school provides a 24-hour pastoral care from the moment the student arrives at the school, until they depart. 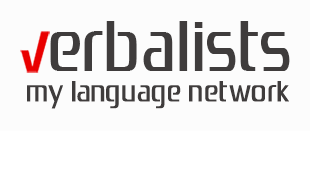 Verbalists is one of the largest and most reputable language networks in Europe, connecting people to the power of languages and joy of journeys that inspire, surprise and entertain. Students, teachers and parents worldwide choose Verbalists as their trusted guide for the finest in educational services and language travel. The Verbalists Language Network is a part of the US based education group Prodirekt LLC, which is a certified representative and partner of prestigious schools and colleges in world renowned university centers. In fact, it was the cooperation with these reputable schools which led to launching Verbalists as a communication network, one of its kind in Europe. Furthermore, Verbalists is the answer to the growing demand for the standardization in foreign language studies.